Welcome to the Futsal event hosted by NaSCon'19. Calling all football enthusiasts! If you think you have got what it takes, then gather your squad, tighten your laces, brush up your passing, volleying, dribbling and street skills and show us that you’ve got what it takes to beat the best teams. This is your chance to show your football supremacy to all! For glory, respect and the right to be named legends. 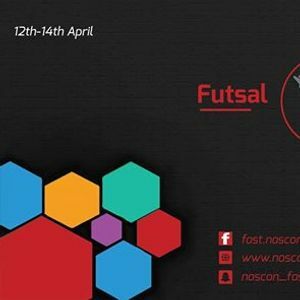 Bring out your best and register your team in Futsal at NaSCon’19.  Total of 8 players are allowed. One player can play for one team only.  All futsal rules apply.